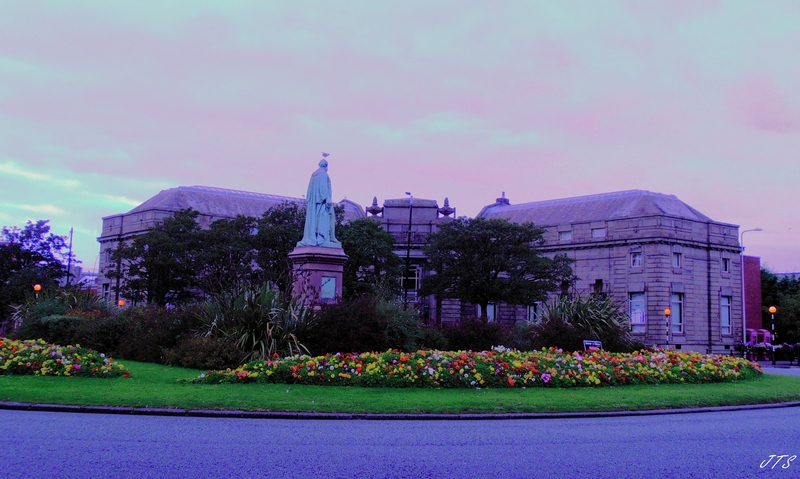 This is where the main roads in my town join a large roundabout with the public library on full display and the statue of Lord Ramsden, one of the towns industrialists. Categories: MEDICINAL MEDIA, PHOTOGRAPHS | Tags: Cee’s Fun Foto Challenge, dusk, industrialist, library, Lord Ramsden, roads, roundabouts, zebracrossings | Permalink. Great entry for this week’s road theme. Thanks ever so much for participating.